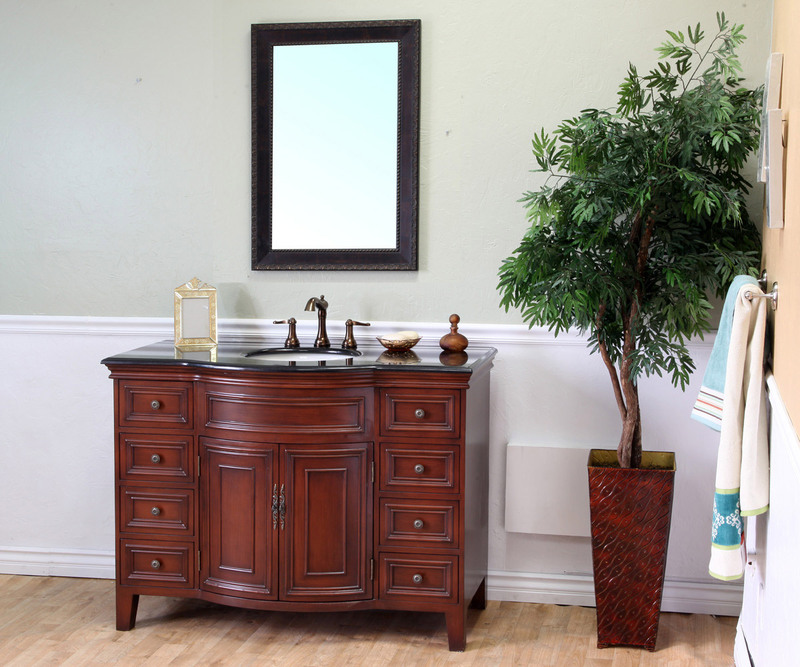 The Monte Single Bath Vanity has a great traditional look with its light walnut finish, beaded trims and antique brass hardware. 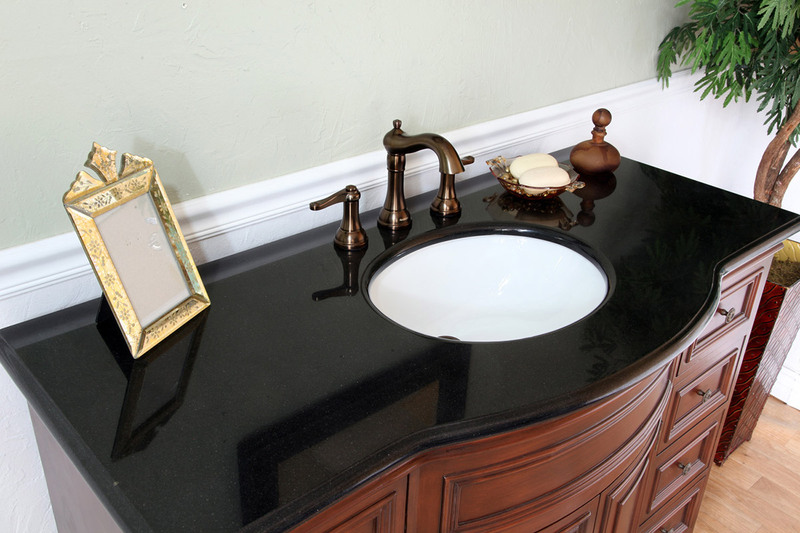 The vanity features a beautiful Black Galaxy counter top, which accentuates the walnut finish and goes well with almost any home decor. 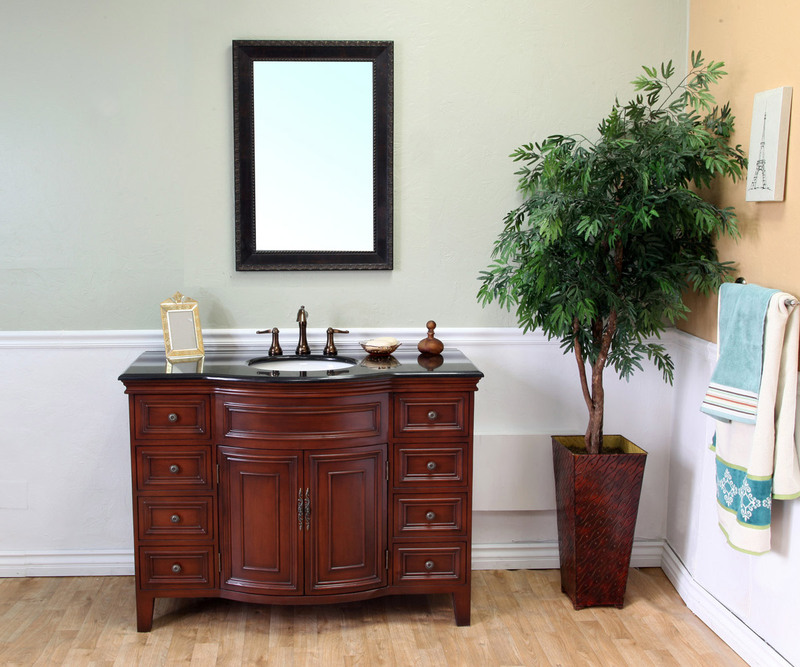 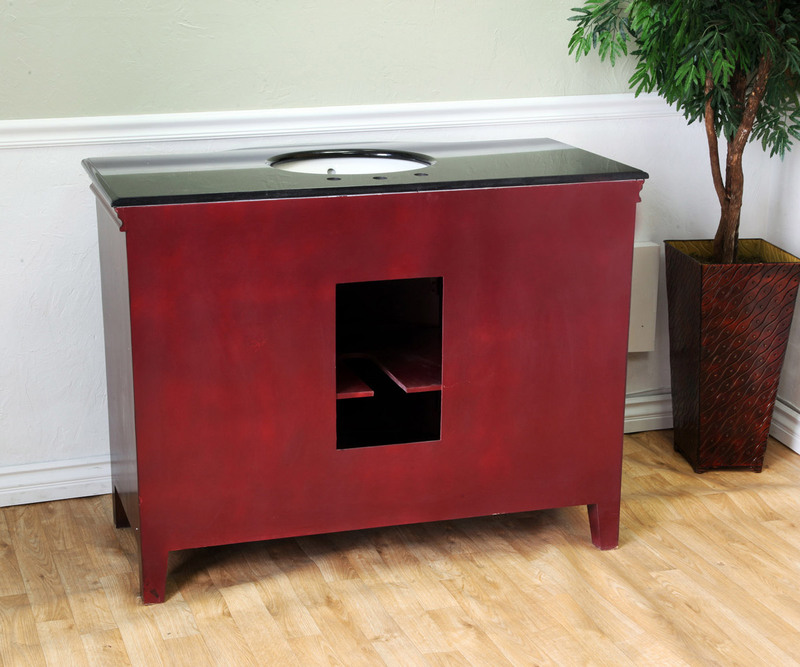 The finish is water proof, preserving the vanity's beauty by protecting the wood from the effects of humidity. 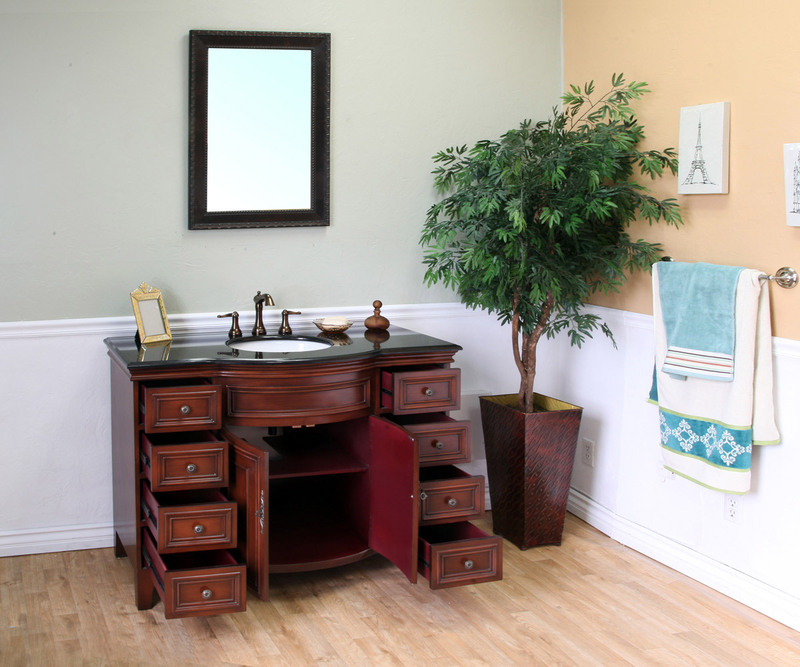 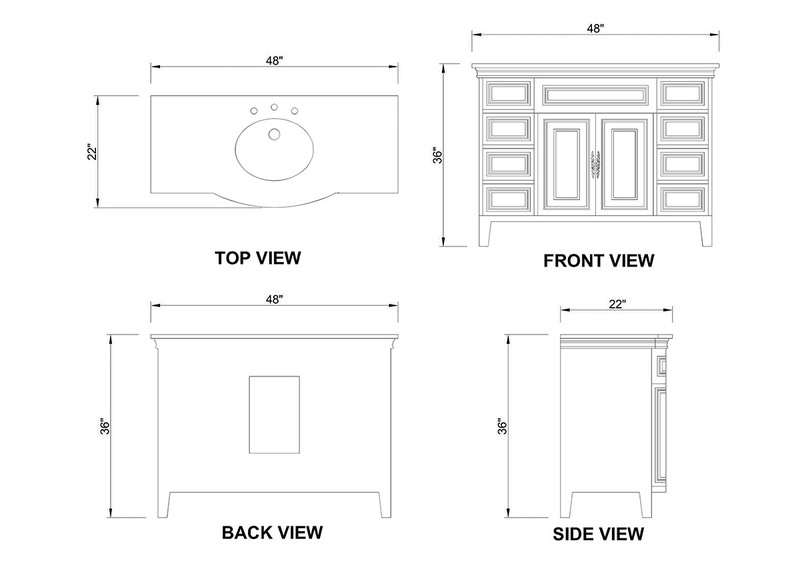 There is plenty of storage in this vanity, with its eight full extension drawers and double door cabinet providing a variety of ways to organize your bathroom accessories. 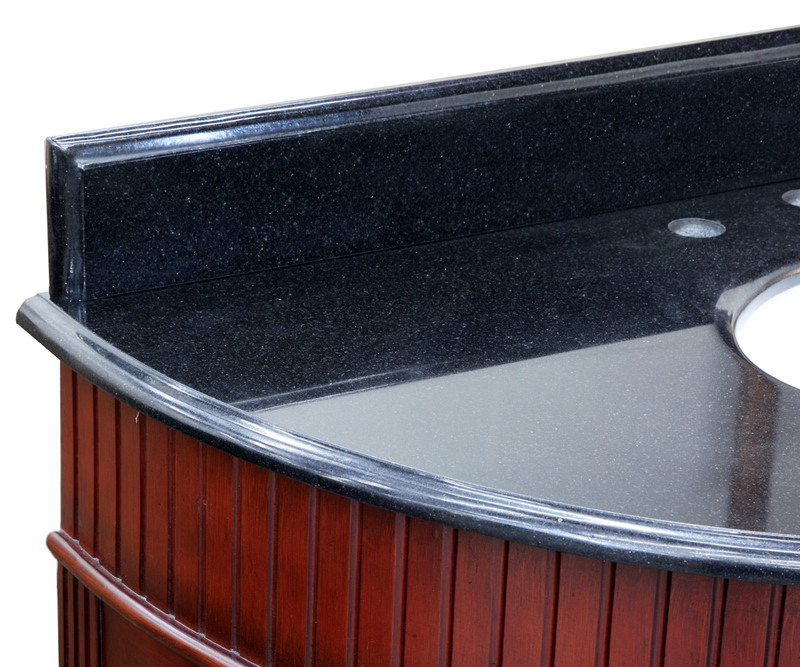 An optional Black Galaxy backsplash is available through the drop down menu.